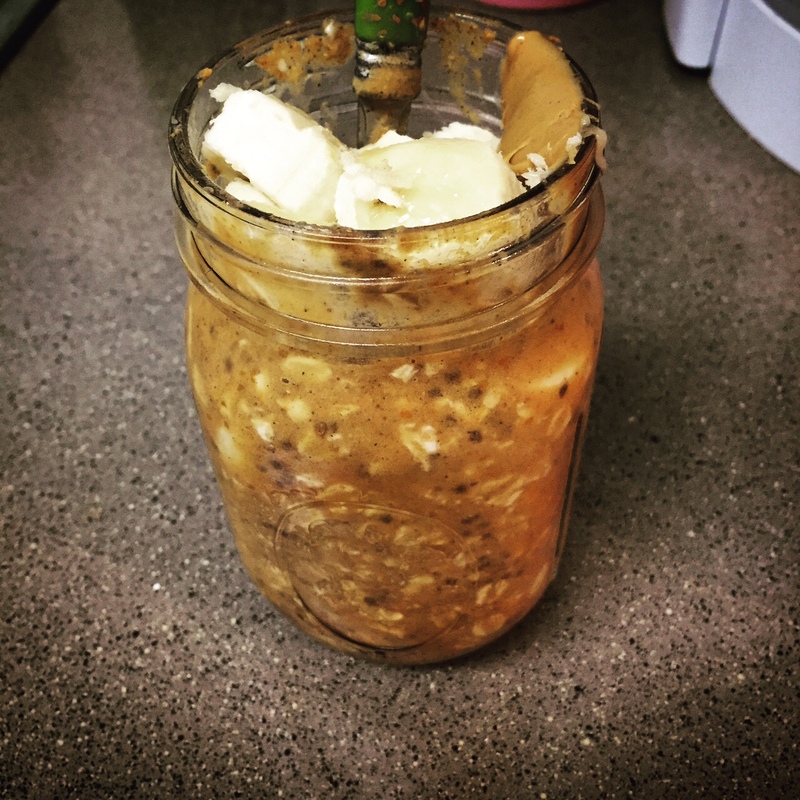 Per [multiple] requests for the recipe for a breakfast I posted on Instagram that didn’t even look appetizing (but tasted PHENOMENAL) here is the recipe for my overnight pumpkin spice oats. Grad school year 2 has me on a grab and go breakfast plan. This recipe is necessarily gluten free and vegan but I am sure you could add regular milk or use regular (non gf) oats and it would be just as good! top with sliced banana, peanut butter, pecans etc. Put all ingredients mason jar or tupperware, close lid tightly and shake to combine. Place in refrigerator overnight. PRO TIP: Do not put the chia seeds in the jar first…they will stick to the bottom…add the oats first and then the order doesn’t matter after that. Top with banana and peanut butter (optional) and dig in!